Are there any signs that indicate that a person’s life ended well?. A good end means when a person was guided before his death to keep away from that which angers the Lord and to repent from sin, and to focus on doing acts of worship and good deeds, and then he died in this good state. One of the indications of this is the saheeh hadeeth narrated from Anas ibn Maalik (may Allaah be pleased with him) who said: The Messenger of Allaah (peace and blessings of Allaah be upon him) said: “When Allaah wills good for His slave, He uses him.” They said, “How does He use him?” He said, “He guides him to do good deeds before he dies.” Narrated by Imam Ahmad, 11625; al-Tirmidhi, 2142; classed as saheeh by al-Albaani in al-Silsilah al-Saheehah, 1334. The Messenger of Allaah (peace and blessings of Allaah be upon him) said: “When Allaah wills good for His slave, He sweetens him.” He was asked, “What is this sweetening?” He said, “Allaah guides him to do righteous deeds before he dies, then He takes (his soul) whilst he is in that state.” Narrated by Ahmad, 17330; classed as saheeh by al-Albaani in al-Silsilah al-Saheehah, 1114. There are signs of a good end, some of which are seen by the dying person as he is dying, and some which may be visible to other people. 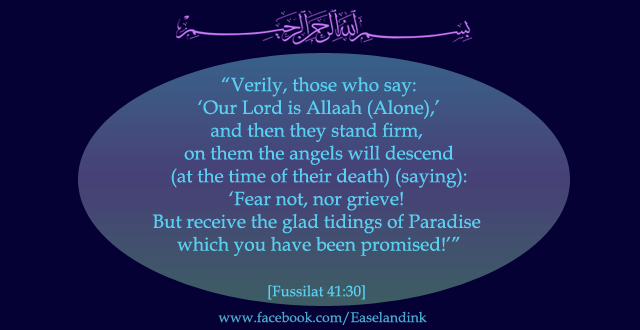 These glad tidings come to the believers when they are dying. See Tafseer Ibn Sa’di, 1256. Al-Nawawi (may Allaah have mercy on him) said: What this hadeeth means is that the love and hate that are referred to here are those that happen when one enters the stage in which repentance is not accepted, where the dying person is told of his situation and he is shown his destiny. 1 – Uttering the shaahadah (testimony of faith) when dying, because the Prophet (peace and blessings of Allaah be upon him) said, “A person whose last words are Laa ilaaha ill-Allaah [there is no go but Allaah] will enter Paradise.” Narrated by Abu Dawood, 3116; classed as saheeh by al-Albaani in Saheeh Abi Dawood, 2673. 2 – Dying with sweat on the forehead, because al-Buraydah ibn al-Husayb (may Allaah be pleased with him) said: I heard the Messenger of Allaah (peace and blessings of Allaah be upon him) say, “The believer dies with sweat on his forehead.” Narrated by Ahmad, 22513; al-Tirmidhi, 980; al-Nasaa’i, 1828. Classed as saheeh by al-Albaani in Saheeh al-Tirmidhi. 3 – Dying on the night or day of Friday, because the Messenger of Allaah (peace and blessings of Allaah be upon him) said: “there is no Muslim who dies on the day of Friday or the night of Friday, but Allaah will protect him from the trial (fitnah) of the grave.” Narrated by Ahmad, 6546; al-Tirmidhi, 1074. al-Albaani said: When all its isnaads are taken into consideration, this hadeeth is hasan or saheeh. “Think not of those as dead who are killed in the way of Allaah. Nay, they are alive, with their Lord, and they have provision. They rejoice in what Allaah has bestowed upon them of His Bounty and rejoice for the sake of those who have not yet joined them, but are left behind (not yet martyred) that on them no fear shall come, nor shall they grieve. And the Prophet (peace and blessings of Allaah be upon him) said: “Whoever is killed for the sake of Allaah is a martyr, and whoever dies for the sake of Allaah is a martyr.” Narrated by Muslim, 1915. 5 – Dying of the plague, because the Prophet (peace and blessings of Allaah be upon him) said: “The plague is martyrdom for every Muslim.” Narrated by al-Bukhaari, 2830; Muslim, 1916. 6 – Dying of a stomach disease. The Prophet (peace and blessings of Allaah be upon him) said: “… and whoever dies of a stomach disease is a martyr.” Narrated by Muslim, 1915. 7 – Dying because of being crushed by a falling wall or by drowning, because the Prophet (peace and blessings of Allaah be upon him) said: “The martyrs are five: the one who dies of plague, the one who dies of a stomach disease, the one who drowns, the one who is crushed by a falling wall, and the one who is martyred for the sake of Allaah.” Narrated by al-Bukhaari, 2829; Muslim, 1915. 8 – If a woman dies as a result of childbirth, or when she is pregnant. The evidence for that includes the hadeeth narrated by Abu Dawood (3111), according to which the Prophet (peace and blessings of Allaah be upon him) said, “A woman who dies with child is a martyr.” al-Khattaabi said: What this means is if she dies with a child in her womb. ‘Awn al-Ma’bood. And Imam Ahmad narrated (17341) that ‘Ubaadah ibn al-Saamit said: The Messenger of Allaah (peace and blessings of Allaah be upon him) told us about the martyrs and mentioned among them, “A woman who is killed by the child in her womb attains martyrdom, and her child will drag her by his umbilical cord to Paradise.” Classed as saheeh by al-Albaani in Kitaab al-Janaa’iz, p. 39. 9 – Death caused by burning, pleurisy and tuberculosis. The Prophet (peace and blessings of Allaah be upon him) said: “Being killed for the sake of Allaah is martyrdom; the plague is martyrdom; drowning is martyrdom; dying of a stomach disease is martyrdom; and the woman who dies in childbirth, her child will drag her by his umbilical cord to Paradise.” (Abu’l-Awaam, the custodian of Bayt al-Maqdis added: and burning and tuberculosis). Al-Albaani said: Hasan saheeh. Saheeh al-Targheeb wa’l-Tarheeb, 1396. 10 – Dying to defend one’s religion, one’s wealth or one’s life, because the Prophet (peace and blessings of Allaah be upon him) said: “Whoever is killed defending his wealth is a martyr; whoever is killed defending his religion is a martyr; whoever is killed in self-defence is a martyr.” Narrated by al-Tirmidhi, 1421. “Whoever says Laa ilaaha ill-Allaah, seeking the Countenance of Allaah thereby, and that is the last of his deeds, will enter Paradise. Whoever gives charity and that is the last of his deeds will enter Paradise.” Narrated by Imam Ahmad, 22813; classed as saheeh by al-Albani in Kitaab al-Janaa’iz, p. 43. See Kitaab al-Janaa’iz by al-Albaani (may Allaah have mercy on him), p. 34. These are the good signs which point to a good end, but despite that we cannot be certain that a specific person is one of the people of Paradise unless the Prophet (peace and blessings of Allaah be upon him) testified that he will go to Paradise, such as the four khaleefahs. 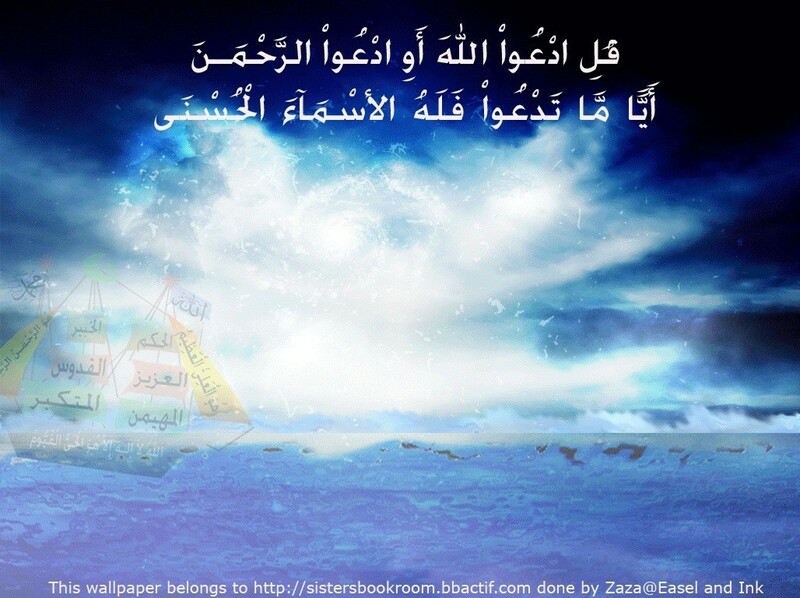 We ask Allaah to grant us a good end.